Taylor & Ring Attorney James W. Lewis represents plaintiffs in cases involving sexual assault, sexual abuse, traumatic personal injury, motor vehicle accidents, amputations, brain injuries, burn injuries, wrongful death, premises liability, and product liability. $6.15 million settlement – James Lewis obtained the settlement against Los Angeles County Sheriff’s Department on behalf of a woman who was raped by a deputy sheriff while he was on duty. The deputy drove the victim into the desert and raped her after pulling her over during a routine traffic stop. This is believed to be the largest sexual assault settlement paid by LA County in its history. $5.42 million verdict – Obtained on behalf of a 37-year-old woman who was raped in a West Hollywood nightclub by a staff member. The woman claimed she entered the club to use the restroom and was followed by a busboy who sexually battered and raped her. In a three-week jury trial, the plaintiff’s counsel argued that the nightclub knew of sexual activity occurring in the restroom and as a result, implemented a policy that at least one security guard be present at all times. However, at the time of the incident, it was alleged that no security guard was present. The woman was awarded damages for personal injury, future medical costs, and past and future pain and suffering. $3.9 million settlement – Jane Doe v. Confidential School District. Secured $3.9 million settlement for a girl who was abused by her middle school teacher. She brought the suit when she was 26 years old. $2 million settlement – John Doe v. Doe Private School. Secured $2 million settlement on behalf of a male minor who was sexually abused by a female teacher at a private school. $575,000 settlement – Represented a female employee who had been sexually harassed and sexually assaulted by a male supervisor. James obtained his J.D. from Pepperdine University School of Law and his B.A. from San Diego State University. After law school, he spent more than a decade defending cases on behalf of insurance companies. He is named to the list of Southern California Super Lawyers Rising Stars for 2008-2011 and 2013-2014. 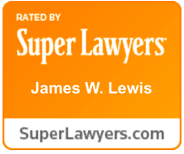 For several years, James has served as the vice chair and pro-bono legal counsel of a non-profit hospital foundation which raises funds for a regional hospital in Los Angeles County. He is also a past president and current board member of a bar association in Los Angeles County.